WACO: CAPITAL MURDER DEFENDANT MISPLACED BY SHERIFF’S DEPARTMENT | I'm Mad Too, Harry. 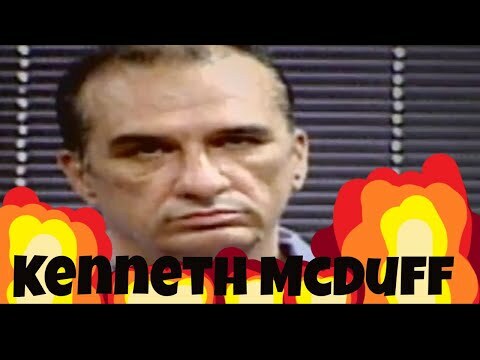 Kenneth McDuff, formerly of Rosebud, currently in HELL for Capital Murder after being put to death by the State of Texas. Kenneth, a former inmate at the McLennan County jail had this to say about the Sheriff’s people losing an inmate. A capital murder defendant charged in the 2006 arson death of a Waco woman had an inadvertent two-month taste of freedom until McLennan County officials discovered his mistaken release Thursday through a chance encounter with the man’s new girlfriend. After learning Gerald Wayne Brown, 61, was living in Waco on parole instead of being in the county jail on a capital murder charge, 54th State District Judge Matt Johnson issued a warrant for his arrest. Sheriff’s deputies quickly rounded him up, and Brown was in jail before midnight Thursday. He is being held for now under a no bond order. Robert C. Hurst, spokesman for the Texas Department of Criminal Justice, said Friday that prison officials had no detainer from McLennan County telling them to hold Brown for county officials on the capital murder charge. He said Brown was released on parole Oct. 12 after being given credit for serving a 40-year prison term for arson. Brown was sent to prison in February 1993 on the arson conviction and was paroled the first time in April 2004. He violated his parole and was returned to prison in March 2011, Hurst said. Brown is slated to remain on parole until July 2037. The second count of the indictment alleges he killed Viera by arson. Brown’s mistaken release from prison came to light when a woman who identified herself as his girlfriend came to the McLennan County District Clerk’s Office on Thursday. She asked to set up a payment plan because Brown still owes the county $104.50 in court costs dating back to his 1992 arson conviction. The clerk asked why she wanted to set up an account because the county had been drafting from Brown’s commissary account in prison to pay off his balance. “She said, ‘He’s not in prison anymore. He’s sitting on my couch at home,’” said Ellen Watson, the district clerk’s office chief criminal deputy. Watson said the clerk said nothing to alert the woman that anything was amiss but reported the conversation, leading to Brown’s arrest. A status hearing in Brown’s capital murder case set for Friday morning in 54th State District Court was canceled.